A rather gloomy start to the day but climbing below Dove Crag in the eastern Lake District there were signs of breaks in the cloud. 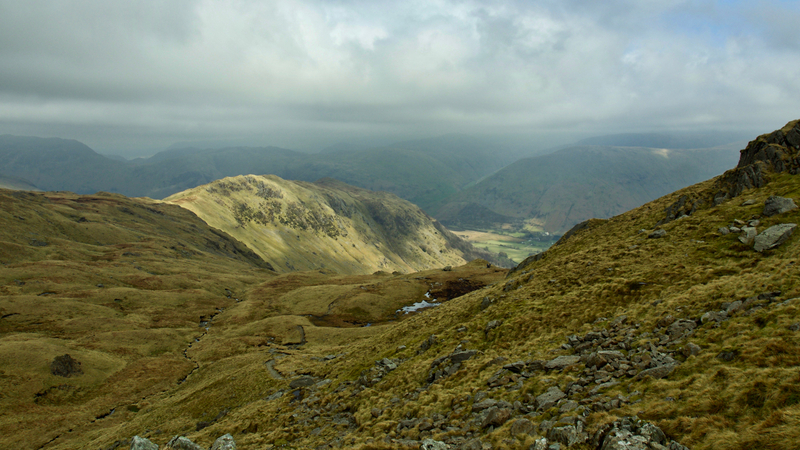 This is looking back on the Hartsop above How ridge. By the time Fairfield was summited there were blue skies.